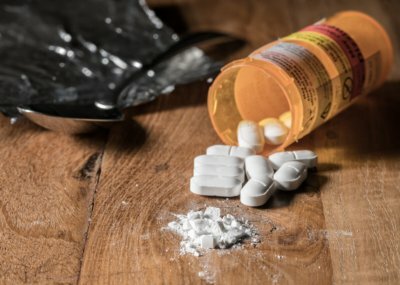 In recent years, there has been a rush of news reports on what is being called a worldwide opioid epidemic. Opiates are commonly used to treat or manage severe pain, with many patients often requiring opiate withdrawal remedies as they become highly dependent on the painkillers. The family of opioid drugs is extremely addictive, and can cause devastating physical, emotional, and mental effects. Once the initial pain is treated, discontinuing the use of these drugs can have as many disturbing side effects as the drug itself. We will discuss what helps ease withdrawal symptoms with natural home remedies. An opiate is dried latex from the seed pod of the opium poppy flower, known as Papaver somniferum. Opiates may be natural, synthetic, or semi-synthetic drugs, and all fall under the opioid category—which once referred to only synthetic or chemical-made drugs. The most frequently prescribed opioid painkillers are oxycodone, hydrocodone, and hydromorphone. As happens with extended use of many drugs, the brain becomes desensitized to the effects, and a higher dosage is needed to relieve the physical and mental sensation of pain. Opiates change the brain’s nerve cells, creating the user’s physical “need” for the drug. This can lead to abuse of the opiate, as well as a desire for a more potent drug. From this, many opiate users turn to heroin and other illegal drugs. Considering the powerful effects of opiates on the brain, discontinuing use of the drugs can send the body into a whirlwind of distress. The withdrawal effects typically happen in two phases, with the initial symptoms of anxiety, agitation, restlessness, insomnia, fatigue, lethargy, aching muscles, excessive sweating, watery eyes, runny nose, and excessive yawning. Then, more severe symptoms of nausea, vomiting, chills, stomach cramps, diarrhea, an increase heartrate, and dilated pupils are experienced. Unfortunately, most medical professionals use other prescribed drugs to counteract these symptoms, such as “Clonidine” for muscles aches, anxiety, cramping, and excess sweating. Benzodiazepines are used to treat anxiety, muscle cramping, and insomnia. Suboxone is another pain reliever used to alleviate symptoms. These prescribed drugs can offer their own set of mild and severe side effects, and can be highly addictive themselves. Let’s look at other options with the following opiate withdrawal home remedies. The withdrawal from any addictive substance can lead to a deficiency in essential vitamins and minerals. This is especially true with an opiate withdrawal. By increasing the intake of calcium, potassium, and magnesium, not only might the harsh withdrawal symptoms be alleviated, but the body might also regain strength and the ability to fight the physical and emotional addiction. Avoid spicy foods and foods rich in flavor. Calcium can be replenished through foods such as spinach, milk, cheese, fortified cereals, and tofu. These also contain the required vitamin D for proper absorption of calcium and potassium. Consume fresh fruits and vegetables for sufficient potassium intake. Along with green leafy vegetables, enjoy potatoes, legumes, and winter squash. For fruits, include bananas, cantaloupes, avocados, and citrus fruits. Other high-potassium foods are salmon, chicken breast, nuts, seeds, and whole-grain products. Magnesium can be restored with kelp, almonds, cashews, molasses, spinach, and buckwheat. The quickest and best way to increase magnesium is through the pores in the skin. Soaking in bath salts will allow the magnesium to enter the bloodstream faster than consuming magnesium-enriched foods. With the withdrawal symptoms of excessive sweating, diarrhea, and vomiting, a person can quickly become dehydrated. Essential electrolytes and water are lost. Following the above nutrient-replenishment diet will cover the issue of lost mineral electrolytes like calcium, potassium, and magnesium. To address fluid loss, increase water intake to prevent dehydration and the effects it can have on the body. Dehydration can lead to severe complications such as high blood pressure, kidney disease, bladder disease, and digestive disorders. Avoid triggers such as alcohol, soda, and other caffeinated products that draw out water from the body. The painful physical opiate withdrawal symptoms of cramps and muscle aches can be addressed by using natural anti-inflammatories. Sleep issues such as insomnia and restlessness can also be relieved with anti-inflammatory options. As these symptoms are caused by inflamed tissue, ingesting anti-inflammatory products such as fish oil, astragalus root, green tea, and passionflower may help. In addition to being an anti-inflammatory, the passionflower plant has the neurotransmitter gamma-amino butyric acid, or GABA. This counteracts with the nerve transmission in the brain to interrupt and prevent further nervous action of the central nervous system. The passionflower plant may stimulate relaxation to combat any anxiety, agitation, irritability, and restlessness. This could allow patients to experience tranquility and sleep. Make passionflower tea with one teaspoon of dried or fresh passionflower leaves. Activated charcoal is used to absorb harmful toxins from the body that can form with the use of opiates. The charcoal also has anti-inflammatory components that, along with the detox properties, will assist the proper functioning of the digestive tract. Symptoms of diarrhea, nausea, and vomiting may be eased as well as the constant muscle aches and dehydration effects. As one of the most powerful herbal remedies opiate withdrawal options, cannabis is becoming more popular in use. Many use the properties of the Cannabis sativa plant to combat the withdrawal symptoms of depression, anxiety, pain, and irritation. These symptoms are prevalent during the early stages of withdrawal. The plant chemicals directly affect the neurotransmitters that stimulate addiction by calming and interrupting the message. Cannabis also contains non-psychoactive oil called cannabidiol (CBD), which has been used to treat the withdrawal symptoms. Cannabis can be ingested in various ways for the beneficial effects, especially chronic pain. The craving for the opiate effects can also be resolved. A hot bath or shower can produce an overwhelming feeling of relaxation, as it alleviates physical and emotional stress. Opiate withdrawal symptoms of anxiety, restlessness, muscle cramps, and aches and pains are sometimes also treated with swimming activities. Simply being outside in the sunlight and fresh air can help a person to de-stress and occupy the mind without focusing on the opiate drug. Exposure to the sun may also trigger release of the brain’s powerful serotonin neurotransmitter, which stimulates sleep and good mood. Vitamin D production also increases with UV exposure, and helps with depression and calcium and potassium absorption. Walking is one of the most powerful exercises for the body and mind. Incorporate short walks into your daily routine in the morning to start your day, and in the evening to wind down the mind. Combat pain symptoms of opiate withdrawal with a deep tissue and muscle massage. A healing massage can alleviate chronic pain by releasing tension and tightness within the muscles. Sleep allows the mind to rest and release anxiety, as well as helps the body to heal from physical pain. Our body needs sleep to strengthen and restore the muscles and energy. Once a natural sleep remedy is found, spend time resting and sleeping during your withdrawal stages. For natural, feel-good vibes, exercise regularly to stimulate the brain’s production of serotonin, dopamine, and endorphins. Build up to strength-building exercises with weights as when the body works harder, it produces more endorphins. These activities may also restore self-confidence in a person who has seemingly lost themselves in the battle with opiate addiction. Whether it is weight-bearing exercise, walking, swimming, or resting while watching movies and television, keep the mind busy when not sleeping. A big part of the withdrawal healing process is keeping the body and mind active. Read a book, write in a journal, or talk to a friend on a phone. Once the initial withdrawal stages passes and patients return to work, the routine will offer a better avenue to keep distracted from the addiction. The traditional Chinese medicine treatment of using acupuncture to treat disease and ailments may also help with opiate withdrawal symptoms. These can include pain, depression, anxiety, and other negative outcomes. Acupuncture may release endorphins and stimulate proper blood circulation. The positioning and use of the needles is designed to allow the free flow of “chi” energy through the body. Practitioners believe this natural energy of the body is disrupted with the use of drugs, such as opiates. Opiate withdrawal can be a vicious cycle for habitual users of the painkiller. Opiates are regularly prescribed for chronic pain, and if abused, can lead to addictive behaviors and long-term health problems. The intensity of opiate addiction will depend on length and frequency of usage, dosage amounts, and medical history among other factors. A doctor may decide that medications are necessary; therefore, it is important to speak with your physician before trying any natural opiate withdrawal remedies. However, in some cases, sufferers have a choice, and instead of combating the opiate drug withdrawal with other addictive drugs, many choose home remedies to alleviate severe symptoms during the healing process. Opiate withdrawal symptoms of muscle pains and aches, digestive issues, nausea, vomiting, shaking motions, anxiety, and insomnia could be addressed with lifestyle changes and natural treatments. In the early stages of withdrawing from opiate use, it is vital to replenish lost essential nutrients, get regular exercise, adequate sleep, and maintain hydration. Using natural products may speed up the healing process while treating the symptoms. “Home Remedies to Ease Opiate Withdrawal Symptoms,” Healthline; http://www.healthline.com/health/home-remedies-opiate-withdrawal#overview1, last accessed July 24, 2017. Tennis, M., “6 Natural Remedies For Crippling Opiate Withdrawal,” Honey Colony, March 8, 2017; https://www.honeycolony.com/article/natural-remedies-opiate-withdrawal/, last accessed July 24, 2017. Johnson, R., “Home Remedies and Natural Treatments for Opiate Withdrawal Symptom Relief,” Opiate Freedom Center; https://www.opiate-freedom-center.com/top-10-opiate-withdrawal-home-remedies/, last accessed July 24, 2017.